Our patented Detachable Tablet Hook/Clip (Suction-Cup) is a quality product that our factory constructed from all stainless steel. The sleek design is a perfect match for the most elegant tablets. 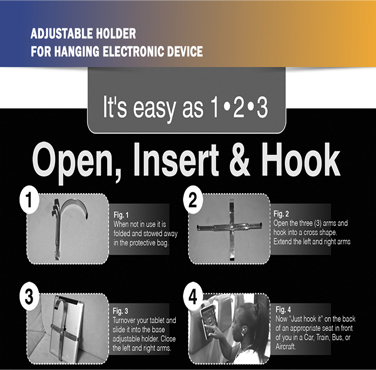 Detachable Tablet Hook/Clip (Suction-Cup) is ideal for installations where the hook often remains in place. It allows you to effortlessly swap tablets or other devices by just engaging or releasing the powerful suction cup.